Modern, cutting-edge and state-of-the-art, the 1900 Building is the Kansas City area’s newest cultural destination. Located at the corner of Shawnee Mission Parkway and State Line Road in Mission Woods, Kansas, the 1900 Building boasts elegant and beautifully designed performance and event spaces, reception areas, and art exhibitions. The Parkway Room, Rose Hall, and Fountain Room are all outfitted with top of the line audio & visual equipment for any type of performance or event. 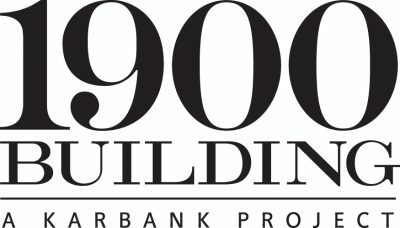 For a listing of all venues and upcoming events please visit http://1900bldg.com/ . History Reimagined at 21c Kansas City Feed, nourish, and refresh your soul at 21c Museum Hotel Kansas City. Let contemporary art surround you in this museum, boutique hotel, and chef-driven restaurant, nestled between the Power & Light district and River Market in downtown Kansas City. 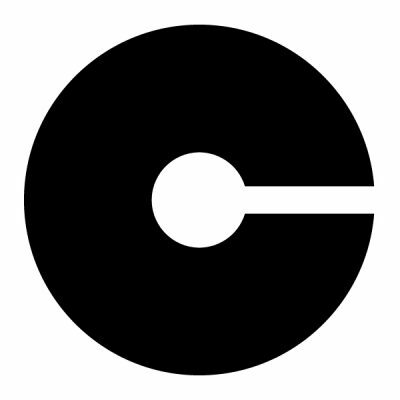 MUSEUM – Contemporary art is the core of 21c. 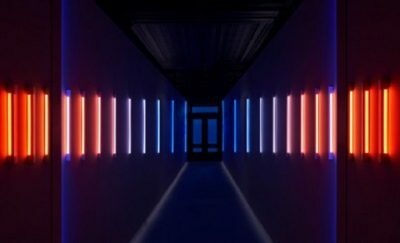 As North America’s only multi-venue museum dedicated to collecting and exhibiting art of the 21st century, 21c Museum brings a new cultural resource to the city’s vibrant art scene. From rotating, curated exhibitions, to site-specific installations and cultural programming, 21c Museum offers the local and traveling community unprecedented access to the work of some of today’s emerging artists. Free and open to the public 365 days/year. Always. Guided museum tours offered every WED + FRI at 5pm. 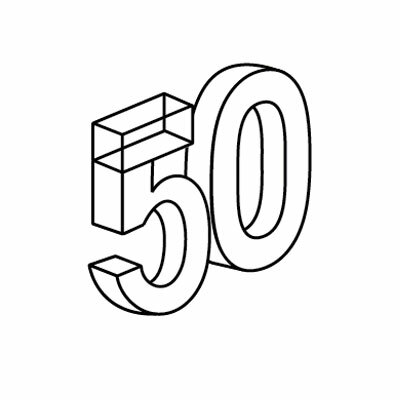 50/50 was developed with the desire to diversify Kansas City’s art ecology by introducing progressive dialogues through collaboration, utilization of alternative building materials, and 21st century technology. 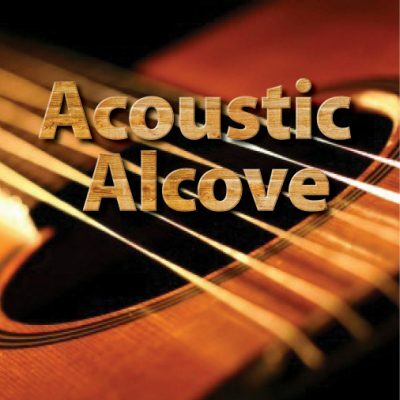 The Acoustic Alcove is a Listening Room located on the historic campus of Unity Village. Presenting great music in an intimate and welcoming setting, we love to make our audiences feel welcomed. All of our shows offer free parking, wine, beer & refreshments PLUS a true Listening Room environment with great sound and a chance for a real audience connection with the artists. These dynamics have made for some magical nights of music at the Alcove. Come out before a show or any day of the week to discover the enchanted grounds of Unity Village. Get invigorated and breathe some fresh air with a hike (nature trails, lakes, woodlands) or maybe a shorter stroll among the rose gardens and beautiful fountains (the largest display of fountains in the Kansas City area). Get pumped and ride a bike around the campus. De-stress with a meditation in the Fillmore chapel or walk the Labyrinth. Become inspired and browse really cool books and other unique items in the eclectic Bookstore while sipping a Starbuck’s latte (open ’til 4 everyday). Fuel your molecules with an organic sandwich or salad made fresh in the Bookstore’s Coffee Shop. Just the inspiration you need to begin or end your musical journey. 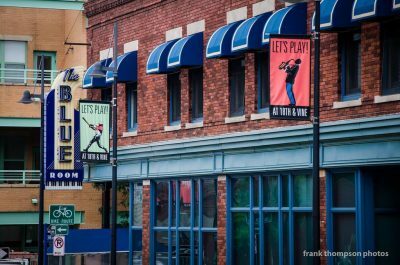 Located in the Historic 18th & Vine Jazz District in Kansas City, MO, the American Jazz Museum showcases the sights and sounds of jazz through interactive exhibits and films, the Changing Gallery exhibit space, Horace M. Peterson III Visitors Center, Blue Room jazz club and Gem Theater. Since its inception in 1997, the Museum hosts thousands of students, scholars, musicians and fans of the arts for over 200 performances, education programs, special exhibitions, community events and more each year, providing an opportunity to learn about the legends, honor their legacy, or simply enjoy the sounds of modern day jazz. Whether you are scheduling a banquet, meeting, reception, corporate retreat, business seminar, or off-site meeting the facility and service you choose are crucial. The Ararat Event Center’s experienced staff will assist in planning and hosting to insure your next event is a sophisticated and special occasion. Whether your event requires snacks, cocktail service, refreshments, buffets, full course meals or a fine dining atmosphere, Ararat Event Center’s full service kitchen provides elegant service and tantalizing cuisine. The Ararat Event Center’s complete beverage selection and tasty bar menu provide the perfect ingredients for casual relaxation. 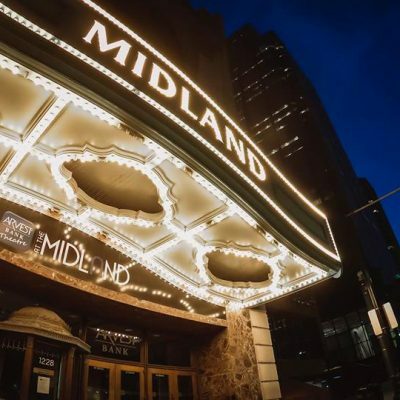 Located in downtown Kansas City in the Power & Light District, the original Midland Theatre opened in 1927 and has hosted well-known artists throughout its history. Under the new name, Arvest Bank Theatre at The Midland, the venue will continue that tradition and is projected to host more than 125 concerts, family shows, awards shows, corporate and charitable events each year. The venue officially becomes the Arvest Bank Theatre at The Midland on Friday, September 13, 2013, for the Jim Breuer performance. “Arvest Bank is proud to partner with AEG Live and Cordish by becoming the naming rights partner of the iconic Midland Theatre,” said Mark Larrabee, President and CEO of Arvest Bank in Greater Kansas City. “As a bank that fosters a thriving community, this partnership will facilitate the tradition of the Midland as a gathering place to enjoy cultural events of all genres in Kansas City. Arvest Bank Theatre at The Midland is a new name for an established cornerstone of our community and the downtown revitalization.” The Midland features flexible seating configurations from standing to theatre-style to full banquet seating, with live-show capacity ranging from 1300-3000. The venue features state-of-the-art sound, lighting and amenities that enhance the historic ambiance providing a premium entertainment experience to guests. In addition to live concerts and events, the theatre hosts corporate events, wedding receptions and private parties. 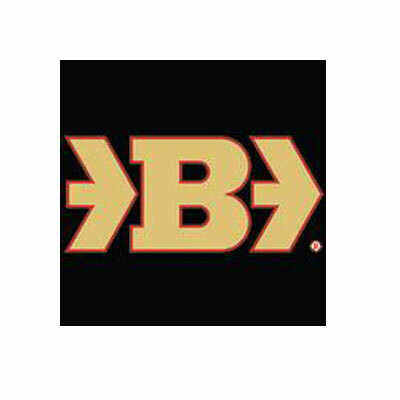 Kansas City’s newest live theater space, B&B Live! 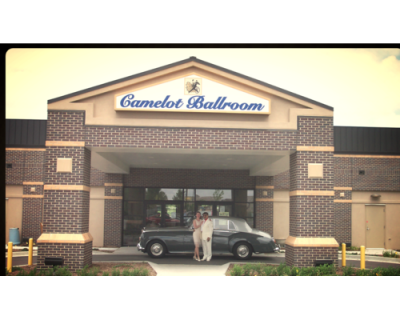 is located inside the B&B Movie Theater complex in Shawnee, KS. 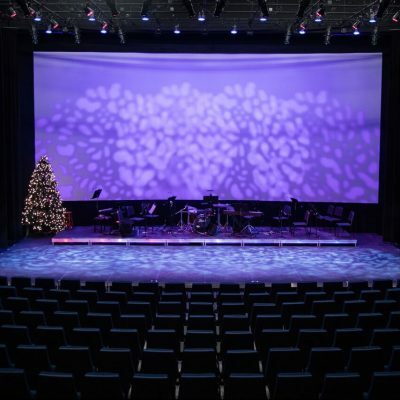 This renovated movie theater is now a 300-seat live performance space with a 1,152 square foot stage, all-LED full theatrical lighting rig and wireless sound system. We also have a rehearsal room available for rent with a fully-sprung, Equity approved 660-square foot dance floor. The John and Maxine Belger family created a 501C3 foundation to educate the public regarding the work of artists including, but not exclusive to William Christenberry, Terry Winters, Robert Stackhouse, William Wiley, Terry Allen, Renee Stout, and Jasper Johns. The Collection spans their careers allowing study of their work and their creative processes. The Collections are available for loan to art institutions and museums throughout this country and abroad. In addition to sharing the collection we curate new exhibitions throughout the year. All of this is free to the public. We also use our facilities to partner with other art-related organizations for their art related events. 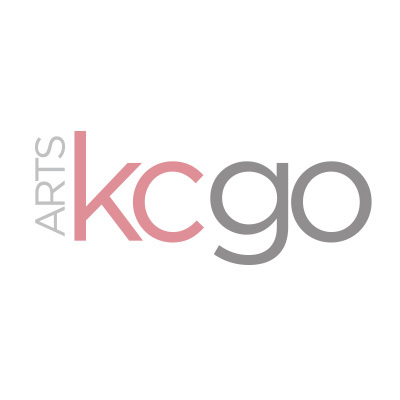 We are conveniently located in the Kansas City Crossroads Arts District. 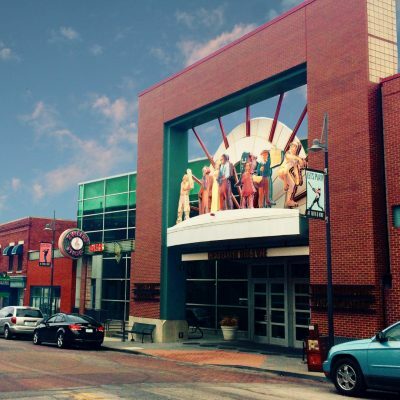 The Belger Arts Center operates out of the Belger Building in the Crossroads Arts District of Kansas City, MO. The building is over 100 years old. 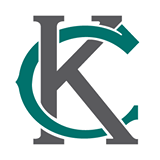 It was purchased from Kansas City Power & Light in 1946. Railroad tracks ran inside the building and cable was off-loaded on a dock and moved by freight elevator upstairs for storage. 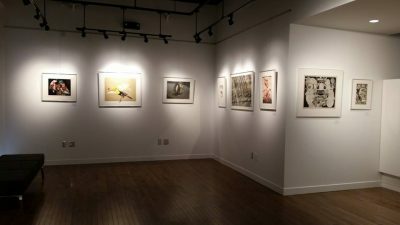 Since the first exhibition in March of 2000 the Belger Arts Center has staged more than forty major art exhibitions on the third floor of the Belger Building in the Crossroads Arts District of Kansas City, MO. The Center has displayed a wide variety of 2D, 3D, and 4D artworks. The Center has a varied exhibition program encompassing art and design from the John and Maxine Belger Family Foundation as well as from generous collectors and artists around the world. Red Star Studios provides an enhanced studio environment to further the creative process. It provides a springboard to sustainability for the individual artist as an integral part of sustaining opportunities for creative learning and artistic growth across a broader community. Red Star Studios takes driven, directed artists and provides them with the ideal environment needed for success. It is within this community that the artist can engage in constructive dialogue and immerse themselves in their work, thus employing and evolving Red Star Studios as an innovative artistic resource. Red Star Studios stands for quality, opportunity, and uniqueness. It is the base and support for an artist, not the end all to individual discovery. 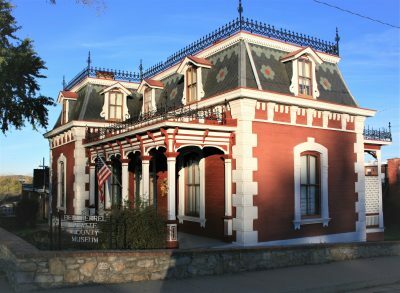 The Ben Ferrel Platte County Museum is an historic house museum (also known as the Krause Mini Mansion), in Platte City, Missouri. It is located only a few blocks from Main Street and nine miles north of KCI via 1-29. This 1882-built mini mansion’s exterior is brick with limestone corner quoins, a mansard roof and ornate grill work. Frederick Krause, the builder, found inspiration for these features after visiting the Governor’s mansion in Jefferson City in the 1870s. The interior is restored and furnished to period. The museum season runs from late April through early October with a Christmas open house that coincides with Platte City’s lighting festival in November. The Platte County Historical Society operates the museum to include a genealogical and research area in the basement. Art is the essence of life. Without the demiurge, the creative impulse, we could not invent, evolve or transcend. Without aesthetic contemplation, we could not know beauty. We could never know light from darkness, truth from lies, hate from love. Through history, the visual arts have been humanity’s most elemental form of expression. Images have served as our magic and medicine, a religion and refuge, a universal language. The arts map our souls, they record our dreams. They mirror life, while offering new ways in which to view it. Blue Gallery was inspired by reverence for that power. It was conceived as a sanctuary for the art experience; the imperative, eternal, yet eternally new communion between artist, art and audience. Today the gallery remains dedicated to the idea that the vital, transformative power of the visual arts remain accessible to all, regardless of financial circumstance or academic background. 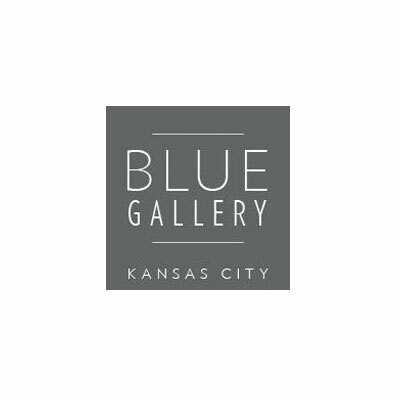 We are a Contemporary Fine Art Gallery in the Crossroads Art District in Kansas City, Missouri located in one of the historic Western Auto Buildings. It is our goal to work with our artists by placing their work with both corporate and private collectors. Our gallery is dedicated to showcasing and exhibiting emerging and established artists. We have 3000 square feet of exhibition space and a private viewing area. 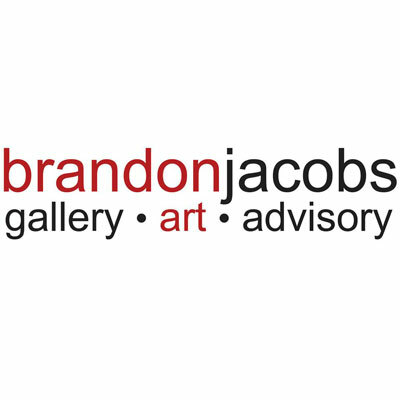 Our services include Art Consulting and Advising, on-site Curatorial Services, private events, and we have a full digital library of works available. We are involved with First Fridays. Please join our email / mailing list to be the first to know and follow us on our blog and social media. We are Buttonwood Art Space – “community focused” art space and gallery. Every purchase you make at Buttonwood will impact the community as a portion of every sale benefits a non-profit organization with local connections. 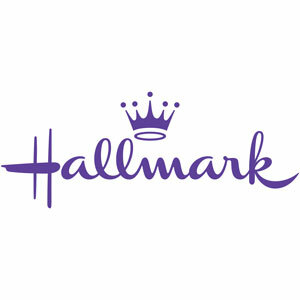 Buyers can receive up to 50% of their purchase (rate depends on the show) as a tax deductible contribution to a non-profit. Our gallery is a place for local and regional artists to share their artworks and their commitment to non-profit charities. Buttonwood Art Space hosts exhibitions in our 3013 Main Street, Kansas City, Missouri space. 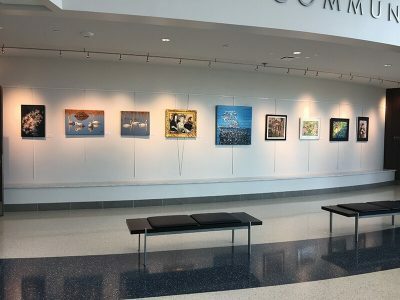 Over 7,500 square feet within our office building makes it a unique place to find local art! Click here to take a google tour of our space. Located In Kansas City Missouri, atop historic Union Hill, our space is provided to us through the philanthropic dedication of Jon & Wendy McGraw and Buttonwood Financial Group, LLC. Through the tireless efforts of the staff of BFG, and the leadership of a voluntary Art Space board of directors, Buttonwood Art Space has come to symbolize a quality community display space. We routinely host four to five “First Friday” Opening nights per year, are a member of the Crossroads Art District, and offer the Art Space free of charge as an event space to non-profit organizations. Art gallery at Park University, located within Norrington Center. Charlotte Street Foundation’s new venue dedicated to performing arts. 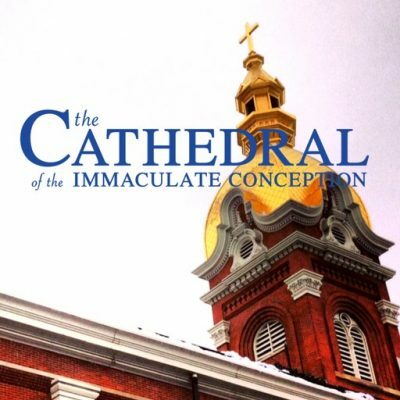 The cathedral also known as the “golddome” cathedral is located in the heart of down Kansas City. In addition to serving as a place of worship, it also is home to many arts and cultural events. 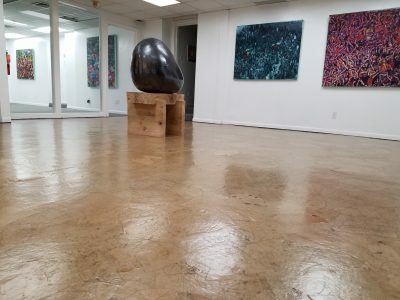 The Cathy Kline Art Gallery is a destination gallery bringing a rotation of vibrant exhibitions including world renown Sculptor Gary Staab presenting Bronze statues and studies of full scale dinosaur replicas which exhibit in natural history museums around the world. As a collector, you may purchase his studies and small scale replicas of these master productions. The Art Gallery hosts a number of events such as Society Member Shows, Master Workshops, Weekly Art Instruction, and the Paint Parkville Annual Plein Air Festival which is becoming a tradition in the community now for six years. Heirloom commission Portraiture as well as Figurative Study with models each Monday evening. For more information, please visit the website. 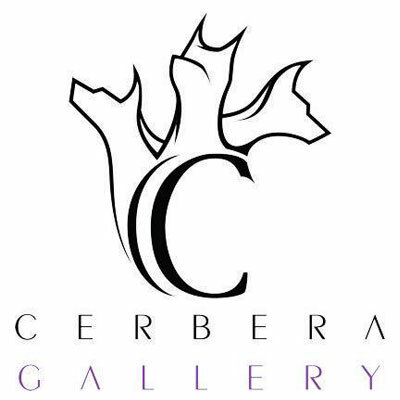 The profile of the Cerbera Gallery for Contemporary Fine Art ranges from small to large-format, innovative, oftentimes abstract works by selected European, North American and Asian artists such as Josef Abers, Norbert Frensch, Ralf Ziervogel, Alfredo Álvarez Plágaro , Keiko Sadakane , Hans Hartung, Greg Miller, limited edition print works by Guenther Uecker, Joan Hernandez Pijuan, Roger Shimomura and photography works by Laura Letinsky, Alex Prager, Thomas Florschuetz , Dirk Reinartz, Claus Goedicke and Nicolas Dhervillers among others. Mixed-media installations by artists such as Evelina Cajacob and Ben Harle as well as a broad range of sculptural and functional ceramic works by Melanie Sherman, Kyunming Park, Bobby Tso, Amy Santoferraro, Jamie Bates Slone, Blair Clemo, Sunshine Cobb among others further embellish the program of the Cerbera Gallery for Contemporary Fine Art. The City Hall art gallery is located at 17101 W. 87th St. Pkwy., Lenexa, KS 66219. Gallery Hours Monday–Thursday: 6 a.m.–9 p.m. Friday: 7 a.m.–10 p.m. Saturday: 7 a.m.–10 p.m. Sunday: 7 a.m.–7 p.m. Oct. 30-Nov. 26, 2018 2D and 3D: Kris Kitchen, Variety including Machine Dreaming series, Time of Flight series, Black Mirror series, mosaics, painted pieces, drawings, sculptures, jewelry The public is invited to an artists’ reception on Thursday, Nov. 8, from 6-7:30 p.m.